Three days after we moved into our new house, we had white wood blinds installed on every window except for the sliding glass doors because the options that we could choose from were limited. One of the options was vertical blinds and I don't know about you but to me, they're outdated and old looking and I knew I could come up with a better solution. 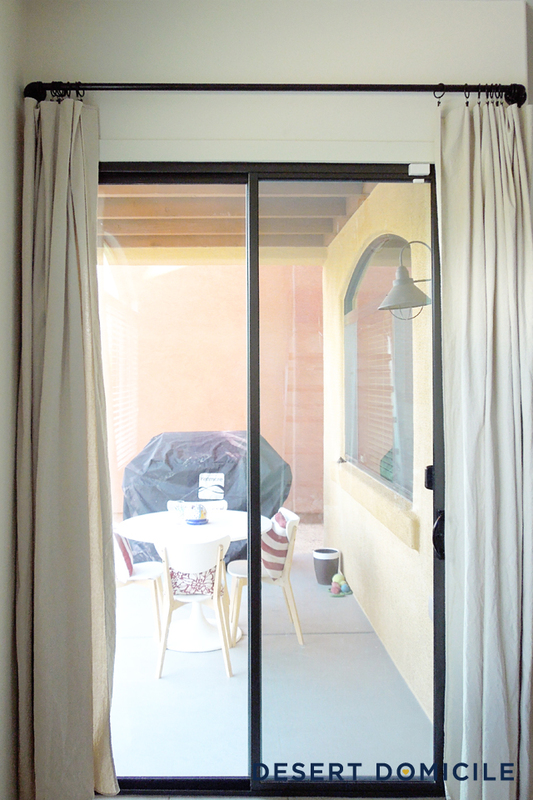 Another option was fabric panels that would slide open and closed on a track and, while that was a better option than the vertical blinds, I still wasn't sold so the doors sat naked for the past month while I tried to come up with a solution that wouldn't break the bank. Enter Lowe's. They sell canvas drop cloths in different sizes for pretty cheap and while I'm not the first person to make drapes out of drop cloths, I felt pretty good about the idea. 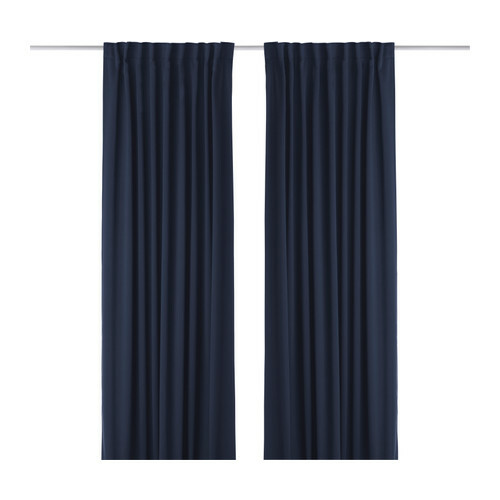 I purchased two, 6 ft x 9 ft drop cloths for $9.97 each and two packs of Allen + Roth ORB curtain clip rings for $9.97 each. 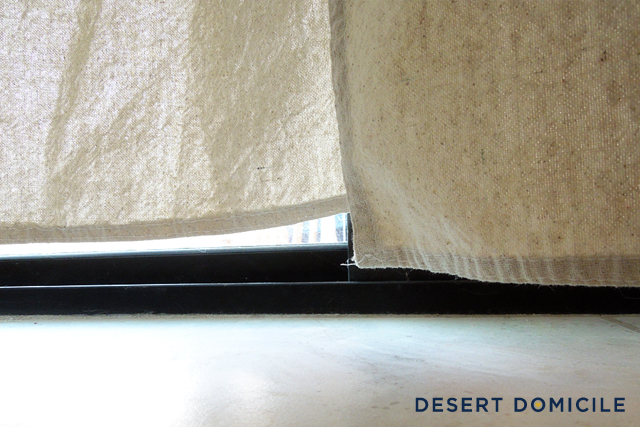 We double checked our pipe rod to make sure it's level and it is so it has to be the drop cloth's size/cut. Enter the "womp, womp" sound effect here! 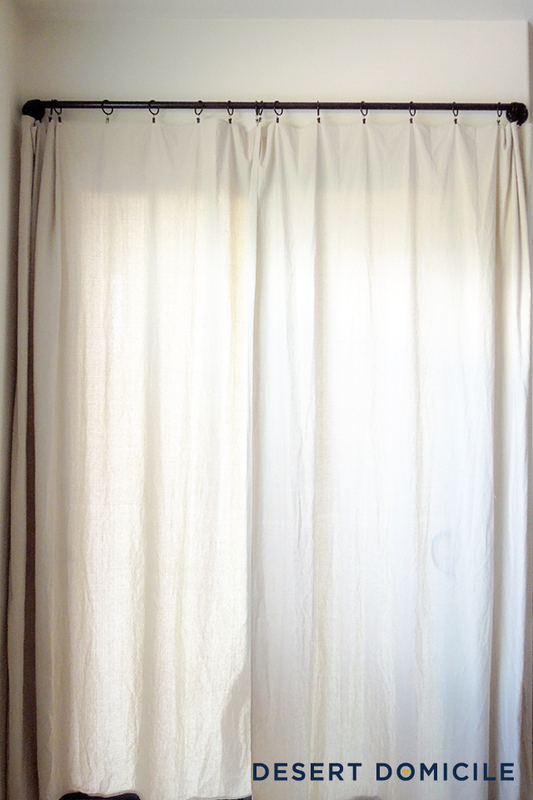 Sigh, looks like it's back to square one to look for extra long curtains. Does anyone have a secret source they could point me towards? Hi Caitlin! Thanks for stopping by my blog! I LOVE your pipe curtain rod! 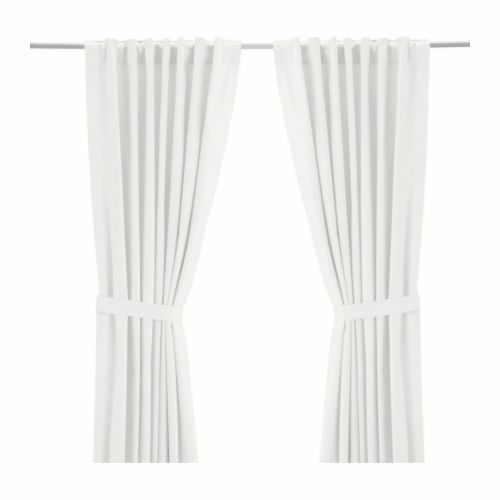 I have one idea although it is a style choice that not everyone would like so I'm just throwing it out and feel free to hate it :) - maybe you could make the curtains even and then add another piece of fabric to the bottoms so they "kiss" the floor- it could be a similar/same color or a totally different color.